Discover What It Really Takes to Build an Amazing Business. We have problems in business today and we aren’t going to change them unless we change the way we think about business first. It’s time to begin looking at business differently if we want things to change and improve. 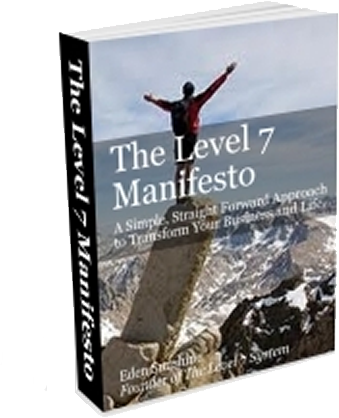 Complete this form below to get immediately access to The Level 7 Manifesto: A Simple, Straight Forward Approach to Transform Your Business and Life. We promise your information is safe with us. We’ve locked it in the vault.